Yad Sarah’s Services Change Lives – the Numbers Speak for Themselves! 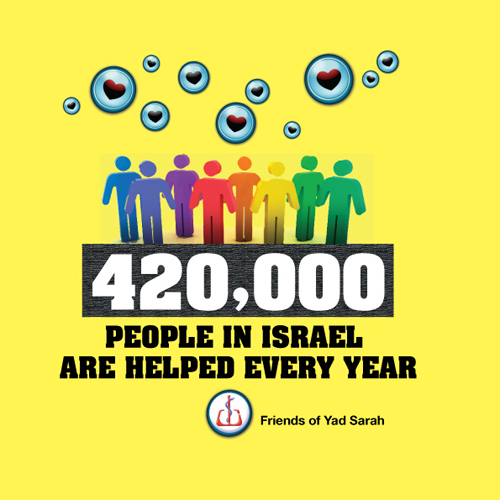 420,000 people in Israel are helped by Yad Sarah every year! 6000+ volunteers in 100+ branches and regional centers provide 270,000+ medical equipment loans, 92,000+ equipment repairs, 19,500+ emergency alarm subscriptions, 500+ daily trips in wheelchair-accessible vans, and much more.